Full disclosure – Christmas is my holiday. I’m the annoying person who decorates waaaayyy before Thanksgiving. We started putting up our six, yes SIX, Christmas trees on November 1st and I accept my role as weirdo. When I received a copy of Who Is Santa? I was overjoyed to find a new addition to our family library. I have been a private school teacher, worked in Montessori schools, volunteered in children’s church, taught Sunday School and homeschooled my own boys so I have read a lot of books to children over the years. Not all of them are worth reading twice, yet we all know if a kid likes a story, parents read and re-read and read it again. Bigalow has penned a lovely book which parents will be happy to read often. The dialogue is charming, illustrations are beautiful and it is creatively written. What I really appreciated is that each chapter is manageable – bedtime routine will not go on and on, but you can enjoy this over the nights leading up to the holiday. This is also a book which covers many age groups – to be read to for younger tots and older kids can read it themselves and be interested in exactly how the legend that is Santa came to be known. It isn’t a fluffy book, and would be appreciated by those who enjoy long tales with lots of background. First book review since recovering from my 17 month bout with brain damage and I am excited to share something I wouldn’t typically read and review. This one is special for several reasons. As part of my brain exercise training, I joined the twitter community. If you don’t understand how participating on twitter exercises your brain cells, I encourage you to take a look at that site. Lots of cognitive abilities required and a real testament to juggling knives on fire. Spending time there has improved my memory, allowed me to practice interacting and being, I hope, clever. While on twitter I ran across a fellow high school graduate from my hometown. He is now an author and was kind enough to send me a copy of his first published work. 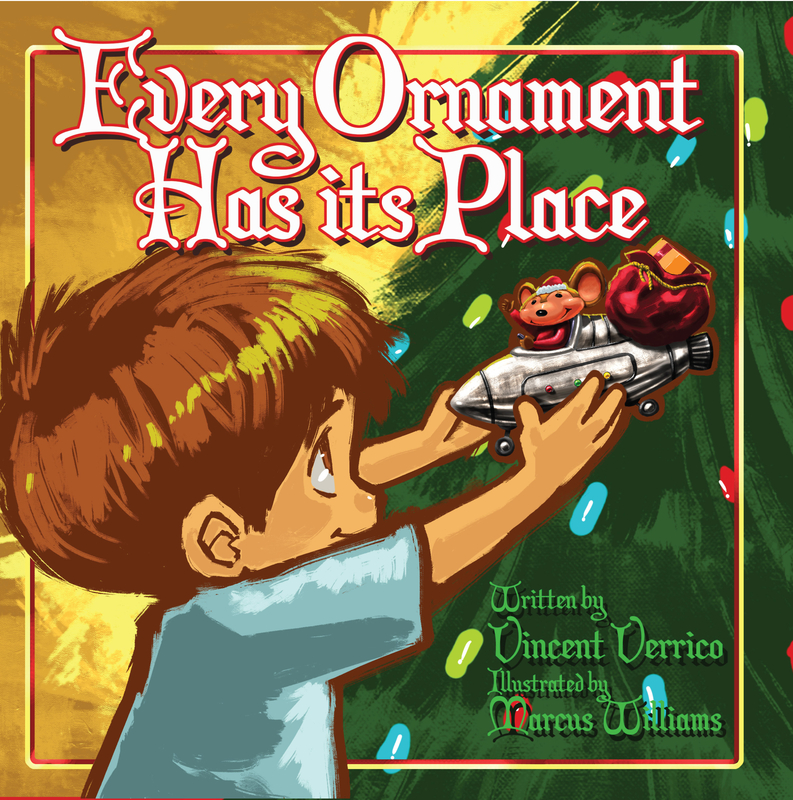 “Every Ornament Has Its Place” written by Vincent Verrico and illustrated by Marcus Williams, is a delightful holiday story about 8-year old Matt, a favorite ornament and the Christmas spirit. As a parent to grown children and a former homeschool and private school teacher, I have read a LOT of books to kids of all ages. I also know how painful reading can be if the material is not enjoyable or becomes old quickly. Verrico has penned a book which reads well. I kept imagining the voices I would have used with my own boys. 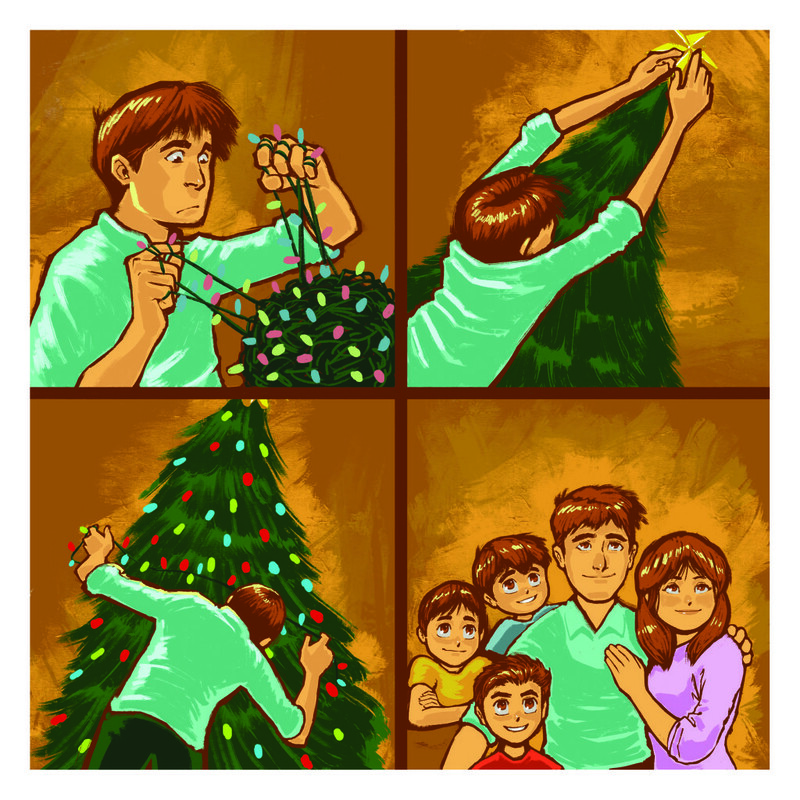 The reader will also likely be reminded of their own family memories of Christmas decorating. Like Matt’s family in the story, I could relate to the anticipation of going through the boxes which hold those special treasures enjoyed only one time a year. We have often referred to our Christmas Tree as a time capsule – every ornament representing something as we traveled the country and bought souvenirs for the tree. What surprised me about the story was the dialogue as well as depth. Frequently children’s books lack a lot of interest ing material for the parent who does the reading. This one will not be a chore to share with your kids. The team also smartly chose bright, interesting illustrations for your child to peruse. Really well done and would highly recommend as part of your holiday tradition. And, because as a parent I was moved by the video shared by the author after publishing his book, I wanted to share that with you. Well done Dad. You raised a very special young man.